Dare to Discover the Supernatural! Planning your next vacation and want to include a really memorable experience? If your passion is ghost tours, we have a number of options for you that are available in USA. The ghost tours activities shown below have been selected for their high quality and value. We offer a low price guarantee to ensure you get the best value. Book now before you arrive and guarantee your spot to avoid sellouts. Are you fascinated by ghosts? Join this evening walking tour and let the local guides bring to life the tales of San Francisco Chinatown's supernatural past and present, as you're lead you on a ghostly tour of Chinatown's historic and mysterious streets and alleyways. You'll be amazed at what you'll discover along the way! San Francisco Chinatown, the oldest Chinese community in the United States, has been a popular shopping, dining and sightseeing destination for over a century. Yet most outsiders have never experienced the extrasensory realm of vintage Chinatown after dark. 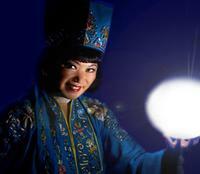 Some say that specters from decades of Chinatown history emerge just after twilight! Let the knowledgeable guides bring to life the tales of San Francisco Chinatown's supernatural past and present, as you are lead on a ghostly tour of Chinatown's historic and mysterious streets and alleyways. Follow along by lamplight as you journey through the neighborhood passageways where these lively spirits are said to bide their time. The mystical folklore of this spirited San Francisco enclave will keep you on edge, as you drink in the chilling experiences of the Chinatown inhabitants of both yesterday and today. All the while, learn about the reverence still offered to the Goddess Kwan Yin and the hungry spirits, along with the secrets of the magic moon cake. Ancient Chinese mythology and folklore flourish to this day in the oldest and most popular Chinatown in all of North America. SF Chinatown Ghost Tours extends to you a chillingly open invitation to personally experience the unearthly side of Chinatown you never even knew existed - book this frightseeing tour now! Join your gravedigger guide aboard the Trolley of the Doomed for a journey through Key West's darker side! Take an evening trolley ride down the narrow, dark streets of Old Town and hear stories from your guide about the island’s haunted history. This ghost and gravestone tour of Key West offers you an in-depth look into the strange and gloomy past of the Southernmost City. Though lively and bright during the day, Key West’s frightful past begins to stir when the sun goes down. On this ghost and gravestone tour, discover the island’s dark and gloomy past as you explore the area aboard the Trolley of the Doomed. Hear haunted tales of restless souls as you travel down the narrow, dark streets of Old Town, filled with 19th-century wooden houses that harbor the secrets of their former inhabitants. Listen as your guide, dressed as a real 17th-centry grave digger, tells stories so tragic and chilling that you’ll see why Key West is considered one of the most haunted cities in America! Enjoy exclusive nighttime entry into one of the island’s haunted Civil War forts, which once served as quarantine barracks for suffering soldiers left to die from yellow fever. Your ‘Ghost Host’ guide will add a pinch of humor to Key West's dark side with ironic tales of deathly love and tragic endings – some so strange it will be hard to believe they’re true! Do you dare to take a lantern-lit stroll through the shadowy streets and deserted lanes of Key West's Old Town? On this easy-paced, 1.5-hour walk, discover the dwelling places of ghosts, ghouls and benevolent protectors. Hear spooky tales and legends of the haunted island paradise from your guide on this nighttime ghost walking tour! Florida’s Key West has a history full of pirates, wreckers, smugglers and other sinister characters. On this nighttime ghost walking tour, explore Key West’s haunted side with your expert guide and prepare to be spooked! WARNING... This tour is not for the faint of heart! Embark on an adventure like no other as you journey through to the other side on the Ghosts & Gravestones Tour. Hop of the TROLLEY OF THE DOOMED and listen to haunted tales that surround one of the spookiest and most well known sites for supernatural occurrences, the city of St Augustine. On your tour you will visit the Old Jail where you will learn about the many prisoners and practices that took place here. See where the Sheriff and his wife and family lived - adjacent to where the prisoners were housed. Once inside the Old Jail, listen quietly for voices in the night; guests have reported hearing cries for help as they walked through the hallways. Be extra careful not to run into resident ghost, Charlie Powell, an inmate who served his time, yet was never set free. Built in 1891, the Old Jail housed prisoners for over 60 years and many criminals met their maker here at the end of a hangman's noose. Listed on the Florida and National Haunted Places Register, the Old Jail has been the site of countless supernatural occurrences. Is St. Augustine really haunted? Only you can answer that question for yourself. Imagine hearing tales of Atlanta's Civil War Ghosts, the legends of Humbug Square, and Georgia's haunted houses as you cruise through the dusky streets riding your own Segway transporter. This spirited tour will give you a look at the City of Atlanta's darker side as we share local anecdotes and legends. The journey will take you on a spine tingling trip through downtown Atlanta from Underground Atlanta to the State House and all the way to Centennial Olympic Park. Hear about Atlanta's most sinister characters and haunted happenings from the famous to the not so famous. The tour will roll through Fairle-Poplar District in downtown and down Peachtree Street where tales of local legends are told. Then on to Georgia State University to hear about ghosts that haunt the campuses of Atlanta. The guides will take you on an adventure through the darker side of Atlanta; the Ghosts and Legends Tour is a scary, fun, and informative experience that is truly one of a kind. All riders must be at least 12 years of age to participate. Come along for an evening excursion through the darker side of America's Most Haunted City! Your voyage will take you throughout Savannah’s historic district, focusing on some of the city’s most haunted sites, eerie legends and frightening residents. Your Ghost Host will entertain you with their expert storytelling and knowledge of all things “shadowy and sinister.” One never knows what one might encounter when you “cross-over” aboard Ghosts & Gravestones. Savannah is often referred to as "America's Most Haunted City!" Her turbulent history has unleashed a fascination with the supernatural. Old Town Trolley Tours® of Savannah presents an unforgettable "FRIGHTSEEING" experience aboard the Ghosts and Gravestones Tour. Step aboard the "trolley of the doomed" and share tales of murder and mayhem, ghosts , ghouls and other mysterious happenings and phenomena. Be taken to the secret haunts that only the gravediggers know including entry into Perkins and Sons Ship Chandlery! Visit some of Oahu's most haunted locations on a chilling walk through history with your Honolulu ghost tours guide. Many of the ghost tours Hawaii sites are modern-day haunts, while others are haunted by terrible events of the past. Honolulu ghost tours take you to the sites that make Oahu famous as a supernatural hotspot in the Pacific, including Morgan's Corner, the Chinese Manoa Cemetery and the Pali area. Your ghost tours Hawaii guide is an experienced expert on these spooky places and will entertain (and scare!) you with stories of the supernatural. All sites are real and all the stories you'll hear are true, based on historical and ancestral information, along with eye-witness accounts. 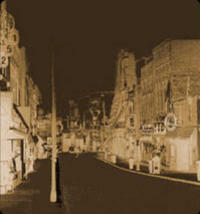 Follow the ghosts of the numerous characters of New Orleans' mysterious past! Tour one of the city’s most haunted cemeteries, St Louis Cemetery No. 1 and visit the tomb of the Voodoo Queen of New Orleans, Marie Laveau. Your guide will explain the unique above-ground burial custom and will give you an in-depth overview of the fascinating evolution of voodoo. Haunting adventures await you during this cemetery and voodoo walking tour through New Orleans. Follow your guide through St Louis Cemetery No. 1, the oldest and most famous of the three St Louis cemeteries. You may recall it as the site from the classic movie Easy Rider or perhaps by its most notorious 'resident' Marie Laveau, the late Voodoo Queen of New Orleans. Your professional guide will recount the background of both the famous and infamous people who are buried there. You can make a wish or, if you dare, cast a spell at the tomb of Marie Laveau. Hear spooky stories of how this voodoo master was able to be in two places at once. You'll also learn about New Orleans’ unique above-ground burial custom and hear various society tombs--grand mausoleums built to entomb and commemorate members of professional, benevolent, and ethnic organizations. These macabre monuments include the Italian Mutual Benevolent Society tomb which provided the eerie backdrop for Easy Rider. Throughout your tour, you’ll get an in-depth view at the evolution of voodoo -- the practice of witchcraft with an African religious heritage. Often dismissed as a cult or superstition, plenty of New Orleans residents believe in its powers. Voodoo rites and traditions are still observed. Small shops sell tools of the trade with herbs, oils, powders, candles and more recognizable items such as voodoo dolls and gris-gris--voodoo amulets. By the end of your tour, you'll understand the meaning of the gris-gris as well as take home some voodoo charms of your own with the mysterious objects found in your souvenir bag! This famous New Orleans Haunted History Ghost Tour now extends into the Garden District of New Orleans! Legends, Lore and Haunts of the Garden District explores the darker side of the Antebellum section of New Orleans. Hear eerie tales of ghostly manifestations, along with the legends and the folklore that make this tour a "must do" while visiting New Orleans. Also, see movie sites from 'Interview with the Vampire", "Double Jeopardy", and "Dracula 2000." The eclectic blend of fact and fiction makes this tour one you won't want to miss! Phantoms and Ghosts abound! Escape into the past as your offbeat, theatrical New Orleans tour guide provides you with an eerie, chilling yet fun-filled adventure! New Orleans has been referred to as "The most haunted city in America." After this tour, we'll let you be the judge! You'll visit several haunted sites and hear about the stories featured on The History Channel and The Discovery Channel. When it rains in the French Quarter, the locals swear a beautiful voice floats out of the mist. After you hear the story of Pere' Dagobert vs. "Bloody" O'Reilly and the "singing rain," you might hear it too. Will you see any of the ghosts that inhabit the famous Bourbon Orleans Hotel - formerly a theater, ballroom, orphanage and convent? The staff and guests report regular sightings of uninvited guests! There's no guarantee you will see a ghost, but you'll see where you're most likely to meet one! Bring your camera. You never know who will want to pose for a picture! This famous New Orleans Haunted History Ghost Tour explores the grim and ghastly deeds of the old French Quarter. Secret and sinister, most of these events occurred a very long time ago. Yes! Ghosts and Spirits still haunt the legendary Vieux Carre. Phantoms and Ghosts abound! Escape into the past as your offbeat, theatrical New Orleans tour guide provides you with an eerie, chilling yet fun-filled adventure! You'll visit sights of documented hauntings, Ghosts, Spirits and see the French Quarter residences in which unbelievable events took place. You will even visit a haunted bar along the way of this New Orleans Ghost Tour! This famous 1.5 hour New Orleans Vampire Tour allows you to enter the dark and mysterious world of the undead. Walk through New Orleans' history and experience the legends of famous New Orleans vampires, real and fictional. Visit sights and locations associated with these creatures of the night, including a visit to a noted Vampire tavern. Are there vampires lurking in the French Quarter? Follow your experienced guide into the dark realm and find out! Escape into the night as your offbeat, theatrical New Orleans tour guide provides you with an eerie, chilling yet fun-filled adventure! Join other adventure seekers and become an apprentice grave digger on an entertaining tour through the darker side of Boston. A scary, fun and informative frightseeing experience that is truly one of a kind. Step aboard the trolley of the doomed and join your host, a 17th-century grave digger, cursed with a sentence of eternal damnation. This wretched creature is doomed to travel the streets of Boston and relay the stories of the unfortunate souls he encountered and the macabre events he had been witness to during his purgatory. Hear about Boston's most sinister characters - from the Angel of Death to the king of all killers - the Boston Strangler. Learn about all the haunts that call the "Hub" their home. But that's not all! Step inside two of the oldest burying grounds in Boston for a walking tour you will never forget. Learn the significance of much of the imagery found in these 17th century burial grounds and the famous and not so famous (but even more interesting) occupants therein. Visit Copp's Hill Burying Ground in the North End, nestled atop the tallest point in one of Boston's oldest historic districts. Here you will visit the final resting place of Cotton Mather, a man famous for his "intimate" involvement with the Salem Witch Trials. Then to the Granary Burying Ground where you will visit the final resting places of many of the famous heroes of the American Revolution including John Hancock, Paul Revere and Samuel Adams. Remember that half of the tour is walking, so comfortable shoes are recommended (so you don't become "dead" on your feet)! This spirited and spooky haunted vegas tour will take you to the haunting grounds of Bugsy Siegel, Liberace, Redd Foxx and Elvis. 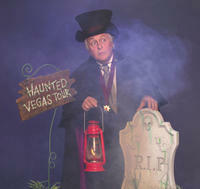 Renown ghost hunter, Robert George Allen, now makes it possible to visit such eerie sites by offering a guided haunted vegas tour and ghost hunt, featuring Sin City's darkest ghostly secrets. Did you know that there are more than 21 places where paranormal activity has been documented in Las Vegas? This haunted tour of Sin City covers such sites as the "Motel of Death," where numerous celebrity deaths have occurred, and the former home of a Las Vegas legend whose ghost continues to haunt despite numerous attempts to exorcise it. The tour also includes a visit to "Bugsy" Siegel's Secret Garden. On this site, Benjamin "Bugsy" Siegel's original Flamingo Hotel stood from December 26, 1946 until December 14, 1993. Once the original Flamingo was torn down and replaced with the wandering paths of the garden, stories started surfacing about a ghostly presence. There are many who believe that the ghost of "Bugsy" Siegel makes an occasional appearance there. In the garden is a solitary tribute to "Bugsy" on a memorial plaque. More than just music, discover the other side of Memphis, the darker side which has nothing to do with Elvis, rock 'n' roll or Soulsville! Hear chilling tales of Memphis' haunted history and supernatural going-ons during a 90 minute walking tour of the city. Your guide will lead your Memphis Ghosts Walking Tour through the dark mysteries and supernatural experiences of some of Memphis' oldest landmarks, such as the Orpheum Theater, Cotton Row and Handy Park. Explore the darker side of Memphis - named for the famed Egyptian City of the Dead - and hear chilling tales of the city's haunted heritage as told by friendly, professional storytellers and tour guides. Put on your walking shoes and join a ghostly adventure in Memphis you will never forget. Approximate distance traveled on this walking tour is 1 mile.